If your garage door opener is old, it will likely contain parts that have become worn and degraded. One of the most frustrating things to find in the morning or late at night is your garage door unresponsive. There are a number of issues that can prevent your opener from working properly. Your remote may be broken, the battery in the opener itself may be having trouble or the motor could be on its way out. Get in touch with our team today if your opener has stopped responding and you want expert help getting it back to work. We have been repairing garage door openers for over a decade and are experts in understanding all of the designs that have been available in the last years. We can troubleshoot your system and let you know the exact reason your opener is broken. We will then explain the solutions we can offer that will have your remote back to perfect working condition. 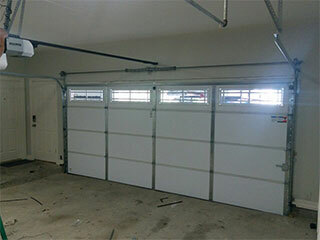 Garage door openers are tricky to install, no matter what brand or design they are. We always suggest owners seek expert help with the installation to ensure that your door is set-up to work perfectly for many years. We offer a wide range of openers for local customers and provide installation as part of the service. If you are looking to upgrade your current door with a new opener, we can advise on the best ones to suit your needs and explain exactly how to use each model after we have installed it for you! Get in touch with our team today if you want to learn more about any of our services or products. We are always happy to help!